Ok, let’s get one thing out of the way: most Quality Control programs are far too complicated. Compounding that issue is the reality that most people on the ground in China have very little understanding of how QC actions create good output. Good quality control, like most things, is best when it consists of simple process executed well. Far too often, I’ve found most factory quality control is actually complex process executed badly. With that, let’s jump into my simple QC process for your outsourced manufacturing. It’s cliche, but boy is it ever true, especially when it comes to controlling our output. When creating our quality control plan, I always start with the end product, that is, write a document that answers the question of “what standards and specifications does the product that you are making or buying need to meet?“. I call my document the OQC (Operational Quality Control), but that’s probably due to my strong operations outlook. Others call it the FQC (Final Quality Control) or any number of other creative names; names aside, the content is what matters. The most important thing that you can do is to tell your supplier, in whatever level of detail is appropriate, what is and is not acceptable. So many people that I’ve worked with fall into the rookie mistake of thinking that we can have perfection come off of our lines so long as we have good documentation. This just isn’t how the world works. Humans are imperfect, and our work is a reflection of ourselves. What is SUPER IMPORTANT therefore is to define the level of imperfection that we are willing to accept. In the absence of specifications, everyone assumes that we demand perfection, and know this is unachievable, just defaults to doing whatever they consider to be their “best work”. Definitions: I can’t stress how important this is. I know what I mean when I say “scratch”, which is probably different from what you mean, and likely also different in interpretation for all of your suppliers. Spend some time writing down what each of the important terms mean, and then spend some time translating those terms into the native language of your suppliers. I’ve been working on the Chinese-English dictionary of terms for retail fixtures and marketing goods; when it’s ready I’ll update. Methods of Checking: If I say something to the effect of “no more than 2 contaminants in the powder coat greater than 0.2^2mm for every 100x100mm section”, I also need to define how a person checks this, from what distance (I generally prefer the “arms-length” test), lighting, et cetera. Again be simple but detailed. For example, in most of my manufacturing projects, anything that can’t be seen from five hundred millimeters away when examined for three seconds doesn’t count. language barriers stand in our way. Those that know me know I rarely, if ever, let a production run go by without visiting my suppliers. A good set of limit photos is one of the key take-aways that you can procure during a short trip to your supplier. If you have already received a sample or pilot run of your product, then you could potentially take these photos back in your home market. Test Equipment: This sounds daunting but it really isn’t. While PCBA projects have tens of thousands of dollars in jigs made for automated tests, it is entirely possible that the tests for a simple physical product be a piece of acrylic marked to the right dimensions, or other simple test devices. 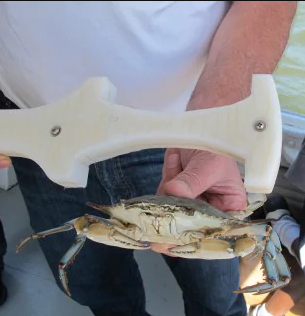 I used to spend my summers on the Chesapeake Bay in Maryland and I carried a test jig with me for all of the crabs that I would catch. It doesn’t need to be complicated, it just needs to give the person using it the answer that they need. For every aspect of the item being inspected, create a line in your checklist with a short description of the aspect being tested. I usually just do this in a simple excel template. You will have one checklist per item made (or generally one checklist per serial numbered finished good). On each line of the checklist, describe the test, and then make an area for “Pass” and “Fail”. The fail is actually especially helpful, as it lets the re-work team in the factory understand the reason for the rejection, and thus the area that they need to address. Leave room for detail if needed, but keep it brief; for example, in a color bar test on an LCD monitor, we would want to know if the rejection was related to bad color verses a dead pixel. If you have the advantage of doing all of the work at one station, you can use a spreadsheet template with drop-down lists for each possible answer (e.g. – pass/fail, rejection reasons, etc). For me this works better on inwards/outwards testing, where all goods pass by one fixed point. I’ve found that most factories fall into one of two camps. They either track no (or meaningless) data or they track millions of data points. Where I find many miss the mark is tracking data that matters. We track data for one of two reasons. First, and most importantly, we need to track data to find issues on the production line quickly. The sooner we find and address issues, the less costly they are to fix. Secondly, we track data to make sure we are in a defensible position when needed. An example being the ISTA (packaging) tests that we perform to defend ourselves against claims of shipping-related damage on arrival. Twice per day (varies, but generally) someone collects the non-conforming materials in each of the boxes on production line stations and compiles it into a report with just two columns: part number and qty of non-conforming materials. Here is how this helps us: Lets say that a station on the production line is rejecting twenty percent of the power supply modules that are to be installed at that station. This is a very high rate, especially considering we (hopefully!) checked units on arrival. So we either have a person on the line in need of training, or we have a catastrophic issue with our power supplies. If the issue is the former, all we need is more training or a revision to the production instructions. If it is the latter, now we can quickly contact our power supply manufacturer and alert them to the issue. Without having this data, we would likely get to the last few days of production, only to be notified by our factory that they had run out of power supplies. There are lot of ways to find issues during production, but the non-conforming materials tracker is one of the simplest, fastest ways to be alerted to production issues quickly. The best time to find issues with component parts is right when they arrive. Our inward goods quality control program is very simple. Test that sample of units. Normally, we create a simple but comprehensive document, a derivative of the OQC document mentioned above, which details each of the tests to be performed on that sample. If the test is a pass, then all of the units (save the rejects) are received into inventory and are ready to be picked for production. Generally, the data that we gather in the IQC stage is valuable to us after the fact. Suppliers that consistently deliver goods that pass the IQC stage are rated higher than those that trigger one-hundred-percent inspections; if you trigger a one-hundred-percent inspection, you’re costing me money! Higher rated suppliers get more orders. Et cetera. At each station on your production line, the person performing the assembly or testing steps has the option of either sending the assembly to the next station or kicking it out to be re-worked, due to some defect found. Re-work takes time, and when calculating our theoretical throughput from a production line, we rarely calculate the time impact of rejecting assemblies and having to re-work them. Over time, first-pass percentage helps us be realistic about the output from each of our suppliers. The factory knows nothing about you, your requirements, or your customer. While many factories like to throw around terms like ISO 9001 and (my personal favorite) MIL-SPEC-105, these terms really mean nothing to them and should mean nothing to you. I’ve found that the best thing to do is to work with the factory to review their QC plan, and then, where appropriate insert all or part of our own QC plans into their process. At first, when I show up with QC process documents and start training a new supplier, there is a lot of eye rolling and grumbling, BUT once people get the general intention, they understand that this process actually makes everyone’s job easier, by setting expectations and being realistic about output ability. Every company and every production is different, and you know better than anyone what are the items that make a difference in your production. Find those the data the helps you either catch issues early or defend your methods, and cut the rest away. Remember always that almost everyone turns up to work wanting to do a good job. If you hold people accountable to standards that you’ve not defined, or have the caustic attitude of “I’m westerner, they should just do a better job”, you’ll get nowhere fast. The rising tide of improved process and standards lifts all of the boats in the harbor. We’re all here to do well, and it’s your (our) job to help everyone get to that higher level.